Kiplinger’s ranks Stony Brook as one of the 35 best values in public colleges and universities, and Consumers Digest names it the #5 most valuable public university (2016–2017). Nearly 95% of recent Stony Brook University bachelor’s degree recipients are currently employed or enrolled in graduate or professional school. PayScale.com estimates the return on investment of a Stony Brook degree at more than $1 million over 30 years. Students in our Undergraduate Research and Creative Activities program received Goldwater, Fulbright, Churchill, and Gates Cambridge Scholarships—the nation’s highest awards to undergraduates. * All charges are subject to change without notice. Costs may vary, depending on the meal plan and housing selected. • Stony Brook accepts the SUNY Application, the Common Application, and the Coalition Application. Ranked one of the top 100 universities in the nation and one of the top 50 public universities by U.S. News & World Report (2016–2017), Stony Brook University is the smart choice for your higher education. A degree from Stony Brook—an institution with award-winning faculty, accomplished students, innovative academic programs, and a proven track record of successful alumni—will take you far beyond your expectations, opening doors to countless career possibilities. A member of the elite Association of American Universities, Stony Brook offers more than 200 majors, minors, and combined-degree programs for undergraduates; Long Island’s premier academic medical center; and first-rate opportunities for undergraduate research, including at nearby Brookhaven National Laboratory, a US Department of Energy national lab that Stony Brook has a role in running. Stony Brook was one of only 10 universities recognized by the National Science Foundation for integrating research and education at the undergraduate level. Stony Brook’s faculty have received international and national recognition for their achievements. Nobel Laureates, Guggenheim Fellows, Pulitzer Prize winners, and MacArthur Grant recipients teach on our campus, making it a magnet for outstanding students. Our diverse campus attracts more than 25,700 students from nearly all 50 states and more than 100 countries. As a freshman, you will belong to one of six Undergraduate Colleges organized around students’ interests. 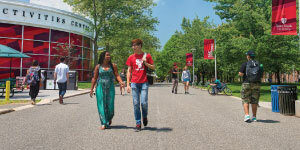 The Undergraduate Colleges exemplify Stony Brook’s unique approach to life and learning, combining all the advantages of a major university with the close connections of a small community. Each College offers academic and residential advising to help you schedule classes, choose a major, and adjust to college life. You will also have the opportunity to take classes in small group settings and attend informal gatherings with your professors and fellow students. 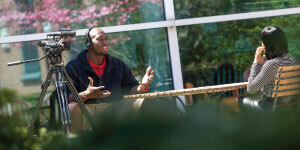 Stony Brook offers undergraduates the opportunity to pursue both traditional and innovative courses of study. Immerse yourself in marine science off the coast of the Atlantic, or create the cutting edge in our College of Engineering and Applied Sciences. Explore our unique programs in Business, Journalism, and Sustainability Studies. Indulge your love of literature, art, and music, or delve into physics, astronomy, and biology. Stony Brook’s combined-degree programs for undergraduates include secondary teacher preparation programs and bachelor’s/MPH programs, a fast-track MBA program, and bachelor’s/MD and bachelor’s/DDS combined-degree programs. Student clubs and academic advising support students heading toward careers in engineering, law, medicine, and a range of health professions. Stony Brook University offers many unique semester, academic year, and winter and summer study abroad programs on six continents in nearly 30 different countries. Our diverse and prestigious programs allow students to experience a once-in-a-lifetime opportunity in places such as Madagascar—led by renowned scholar, MacArthur Fellow, and Indianapolis Prize–winner Patricia Wright—and Stony Brook’s Turkana Basin Institute in Kenya, established in cooperation with renowned anthropologists Richard, Meave, and Louise Leakey. Each spring the University pays tribute to students’ accomplishments in all the arts and sciences with a day of exhibition and performance. Stony Brook has more than 375 clubs and organizations for students and offers an extensive intramural program. Students, faculty, and staff race boats made with only cardboard, duct tape, and paint in the annual Roth Pond Regatta. Other Stony Brook traditions include Homecoming and Strawberry Fest. Our Student Activities Center features a food court, student lounges, an art gallery, and a Wellness Center for exercise classes and workshops. Across campus, the Sports Complex includes courts for basketball and squash, a running track, a dance studio, and weight rooms. Next to it, the 85,000-sq. ft., three-floor Walter J. Hawrys Campus Recreation Center houses a three-court gymnasium, multipurpose indoor arena, fitness studios, and workout space devoted entirely to the health and well-being of Stony Brook students, faculty, and staff. Each residential quad also has its own fully equipped fitness center open 24/7. 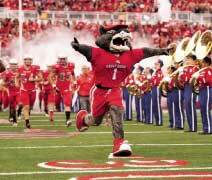 And the Division I Seawolves compete in an 8,300-seat stadium as well as a new 4,000-seat arena. Our graduates are in high demand in the workplace: nearly 350 corporate organizations recruit on campus each year. Stony Brook University’s 1,040-acre campus is located on Long Island’s North Shore, 60 miles east of New York City and close to beaches and woodlands. Our proximity to New York City and a railroad station right on campus make it easy for students to take advantage of all that Manhattan has to offer. Visit us and discover what led Kiplinger’s to rank Stony Brook as one of the 35 best values in public colleges.